Ms. Mayforth, Symphony Silicon Valley's concertmaster, has also served as concertmaster of the San Jose Symphony, Ballet San Jose Silicon Valley, Music in the Mountains Festival Chamber Orchestra in Grass Valley, California; as well as for the Colorado Music Festival, Utah Festival Opera, San Diego Opera, Performance Orchestra of Philadelphia, Queens Philharmonia in New York and the Delaware Repertory Orchestra. As soloist Ms. Mayforth has appeared with Symphony Silicon Valley, San Jose Symphony, Music in the Mountains Festival Chamber Orchestra, Colorado Music Festival Orchestra, the symphonies of Lancaster, PA, Newark, DE; and Kennett Square, PA., as well as with the Delaware Repertory and Chamber Orchestras. A chamber music lover, Ms. Mayforth was founding second violinist of the Lark Quartet and toured extensively with the quartet throughout the United States, Europe, Asia, Australia, Mexico, Canada and Russia. Among the many competition prizes awarded the Lark Quartet were the Gold Medal in the 1991 Shostakovich International String Quartet Competition and the 1990 Naumberg Chamber Music Award. The quartet also received top prizes in International String Quartet Competitions of London; Melbourne, Australia; Paolo Borciani in Italy; Karl Klingler in Germany; and Banff, Canada. Highlights of Ms. Mayforth's seasons with the Lark Quartet included performances at the Lockenhaus Festival in Austria at the invitation of Gideon Kremer; the Beethoven Festival at the Pushkin Museum in Moscow under the direction of Sviatoslav Richter, the Schleswig-Holstein Musik Festival in Northern Germany, and Mexico's Festival de Musica de Camera. Major centers where she has performed include New York's Lincoln Center, the National Gallery and Kennedy Center in Washington, DC, St. Paul's Ordway Theater, and San Francisco's Herbst Theater; and in major cities such as London, Paris, Munich, Hamburg, Vienna, Moscow and St. Pertersburg. Teaching residencies with the Lark Quartet include Florida State University, Florida Atlantic University and San Diego State University. A native of Wilmington, Delaware, Ms. Mayforth began her studies with Estella Frankel and Sylvia Ahramjian. Subsequently Ms. Mayforth received her Bachelor's and Master's Degrees from the Juilliard School, where she studied with Dorothy DeLay, Hyo Kang and Paul Kantor. 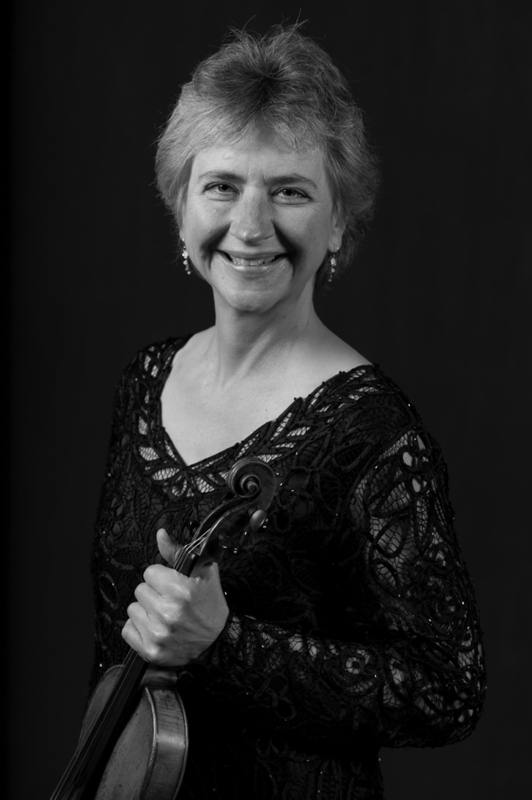 Ms. Mayforth has served on the violin faculties of Stanford and Santa Clara Universities.